Snacks, no doubt, are thought to be a weight-watcher’s greatest enemy. But that’s because most snacks that we reach out for—whether chips or fried foods or roadside chaat—are more often deep-fried and full of calories while lacking in the health-factor. In this section, we have revealed a less-known secret to you, that with a little care, thought, experimentation and know-how, you can make healthy versions of most popular as well as lesser-known snacks! This collection of recipes includes healthy versions of snacks like Healthy Momos, Kothimbir Wadi, Pav Bhaji Khakhra, Moong Sprouts Panki, Oil-free Vada Pav etc. Feast on these without any guilt! However do not forget that moderation is always the key to a healthy lifestyle. A delicious cheesy canape recipe! 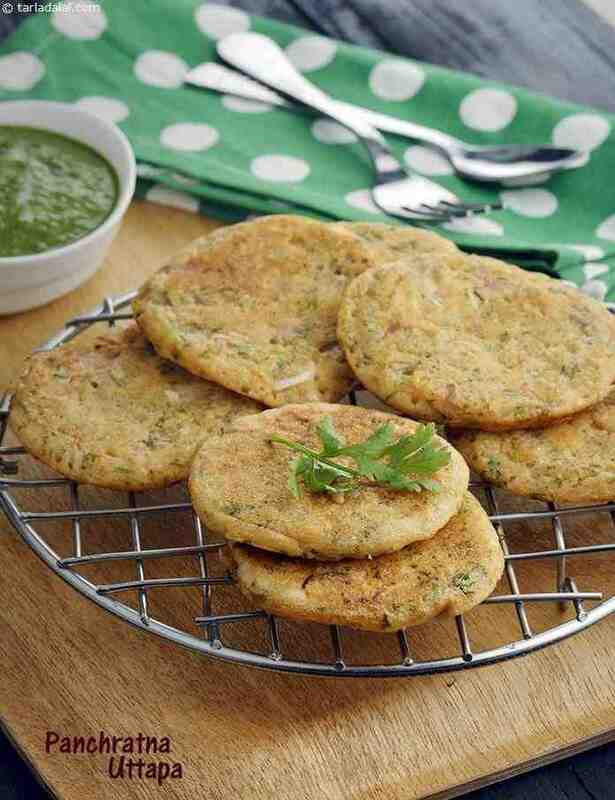 Very good low cal dahi vadas made using bread replacing fried urad dal vadas! A very healthy and easy to digest recipe made using without any oil.